I believe that mistakes are essential to learning. I ask all of my students to embrace when things don’t go well. Some of our best learning happens at these times. I have been doing a lot of gardening this summer. I live in a large old house with a big yard. My husband and I decided this year we needed to spread a new layer of mulch in our multitude of garden beds. 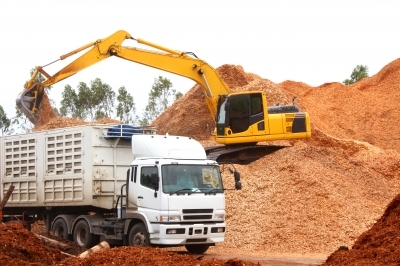 It has been several years since we have done a thorough job of mulching. It is down to the dirt in many places. I enjoy gardening. I love being outdoors. I feel a sense of accomplishment when a plant makes it through the winter and comes back, healthy and bigger than last year. And heck, I just love getting dirty! I also love physical labor—as long as I stay within my limits. I like to get things done just as much as the next gal. I know that about myself. I also know that if I focus too much on just getting things done and lose my focus on how I am getting those things done I get into trouble. 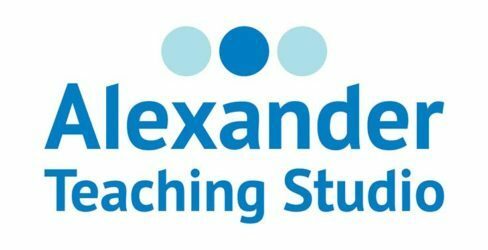 My work with the Alexander Technique has helped me develop the skills to stay focused on how I am doing things more of the time. This has helped me a lot over the years. But even an Alexander Teacher is not perfect. I am a work in progress—just like all of you. I use a timer when I work outside both in the summer when I garden and in the winter when I shovel snow. 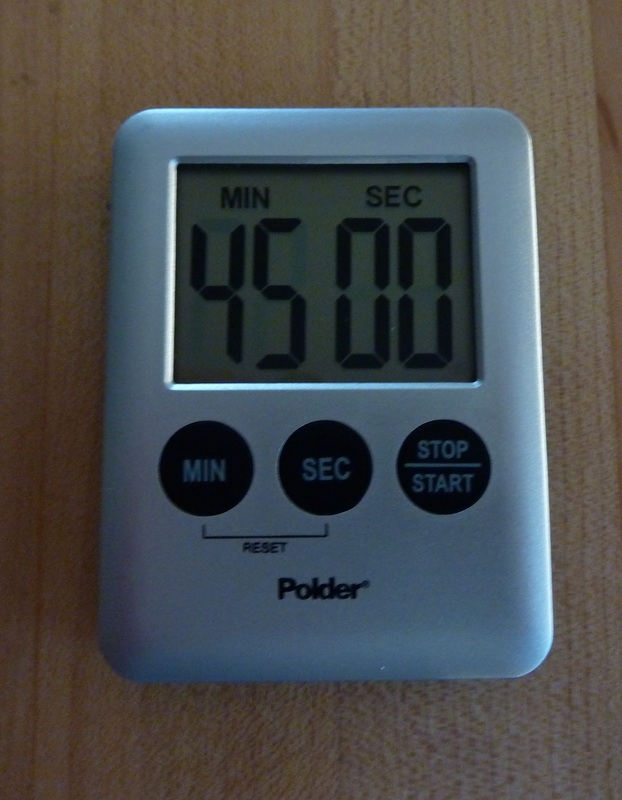 At the beginning of the gardening season I set the timer for 20 minutes. As I gradually get into better gardening shape I work up to 45 minutes. When the timer goes off I take a break. Sometimes I lay down in the Constructive Rest position. Sometimes I sit down and have a cold drink. Whatever I do, it involves not gardening for about 15 minutes. But I don’t work past 45 minutes without taking a break. You see 45 minutes is my magic number. From experience I know 45 minutes is about how long I can garden and also be paying attention to how I am gardening—how I am bending, how I am lifting, how my head and neck are relating to each other. When I get past 45 minutes I very easily slip into “just get it done mode” and lose my focus on how I am doing what I am doing. In mid-June my husband had gone and bought a LOT of mulch and positioned the bags around the yard. OK! I don’t have this much mulch to spread but sometimes it felt like it! I went out one lovely cool morning, did 45 minutes of work and took a break. Then I did another 45 minutes. However, when my timer went off instead of taking a break the second time I decided I would “just finish the bed I was working on”. And oh how quickly I shifted into “just get it done mode”. I was not paying attention to how I was lifting the bags of mulch, opening them, emptying them or spreading them. I was not paying attention to how my head and neck were relating to each other. I was just laser focused on getting it done! And I got the bed done. I didn’t enjoy it while I was doing it. And I paid for it big time! I pulled a bunch of muscles in my shoulder and neck that took over a month to heal. So, here is a perfect example of were things did not go well for me. And I learned a lot about myself! First, that 45 minutes is indeed my magic number—no matter how good gardening shape I am in! Second, that when I am focused on how I am gardening I really enjoy it because I do enjoy gardening. But that when I am focused on just getting it done, all the enjoyment goes out of it. I still have a lot of bags to spread. But every time I go out to work on spreading the mulch I remind myself that I really do enjoy gardening and I am staying with my magic number. Maybe I won’t get the mulch spread as soon as I thought it should be done but I will at least enjoy doing it. And my body will thank me for it! Previous PostPrevious What Are You Missing By Tuning Out? Next PostNext Relax! You Don’t Do It!